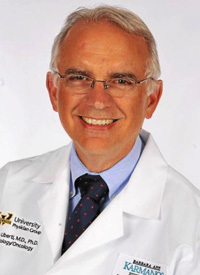 For patients with myelodysplastic syndrome (MDS), a bone marrow transplant is the only potentially curative option; however, this procedure is underutilized, according to Joseph Uberti, MD, PhD. Patients with MDS are generally of an elderly population, yet age alone should not cause a treating physician to be wary of bone marrow transplant, explained Uberti, a medical oncologist at Karmanos Cancer Institute. “The patients who undergo transplant can live a long time, they can live a good quality of life, and they don't have to worry about any lasting side effects,” he said. The rates of transplant-related morbidity and mortality should also be considered, but a set of guidelines is in place for those who are eligible for this procedure. In an interview during the 2018 OncLive® State of the Science Summit™ on Hematologic Malignancies, Uberti discussed the risk and benefit of a bone marrow transplant for patients with MDS. OncLive: Please highlight the role of bone marrow transplant in MDS. Uberti: Bone marrow transplant is an underutilized procedure for the treatment of [patients with] MDS. There are certain indications for which patients should be considered for transplant. [During my presentation], I also spoke about the outcomes for patients with MDS who undergo transplant. There are also criteria for when a patient should be considered for transplant. It is the only curative strategy for MDS and it remains so. We think it should definitely be utilized a little bit more. One of the issues has been the age of patients who can go into transplant. This is a difficult procedure, but we've shown over and over that these patients can do well. We've transplanted patients who were up to 80 years old, and typically these patients range in the 70- to 75-year-old range. The age of a patient alone is not a criterion to not go to transplant. It's not so much chronologic age as it is biologic age. Are they functioning well? Do they have good hearts and lungs? If those are the indications for the patient, they can make it through a transplant safely for their underlying disease. What are some other factors that may lead to hesitation in doing a transplant? There are a number of reasons why referring physicians don't use transplant that much for MDS. Age is certainly one of the factors. People have the misconception that older patients can't make it through transplant easily, but I showed data indicating that these patients can do just as well. The other perception is that we can't find donors for our patients. Now we have new donors available, which give us access for pretty much every patient. That has changed our ability to do transplants for many different patients who we couldn't treat before. These new donors have been very effective; it is almost as if they're a brother or sister providing the transplant for the patient. One of the problems with MDS, again, is the age of the patients. They acquire all the comorbidities we all get as we age. They have heart problems, lung problems, and kidney problems. However, even in certain patient populations with these issues, we can still get them through a transplant.